David Cronin draws on years of experience at the heart of the EU to expose the pro-corporate, anti-democratic agenda in Brussels. The revelations are chilling and paint in fine detail what anti-EU campaigners and euro-sceptics suspected all along because of all the clandestine cover-ups and weasel words. One objective exposed is that corporate lobbyists in Brussels are out to hack, burn and turn to rubble the welfare state put in place after the second world war. Like the military bombing for 'humanitarian reasons' causing 'collateral damage' the corporate lobbyist says there has to be 'consolidation' and 'competiveness'. They number up to 30,000, are blinkered, sit in glass edifices and their 'work' is to constrain national governments and turn them into vassals of corporate greed. Their ideology is neo-liberalism which would be better called vandalism. There are lobbyists like Oxfam and Green Peace but there is no comparison with any one of the richest corporations in the world like E.ON, BP, Fiat, Shell, Siemens or Thyssen Krupp and all the other 45 members of the European Round Table of industrialists (ERT). 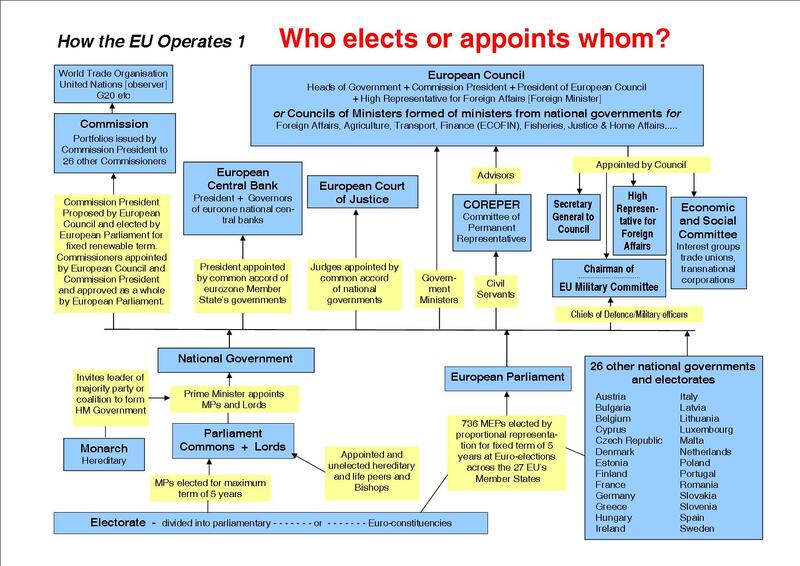 All the EU institutions are susceptible to the regiments of lobbyists. And, that includes the European Parliament where MEPs have been 'outed' for amending legislation in private to benefit corporations. As columns in the Democrat have reported, and now confirmed by the author, it was the ERT in the 1980's that worked for a 'single market in goods and services' – the Single European Act. Currently the ERT is in effect pressing for a bonfire of EU legislation and policies which obstruct profit. Coincidentally, I think not, Cameron is making the same demand and will then declare the EU fit for Britain to stay a member. 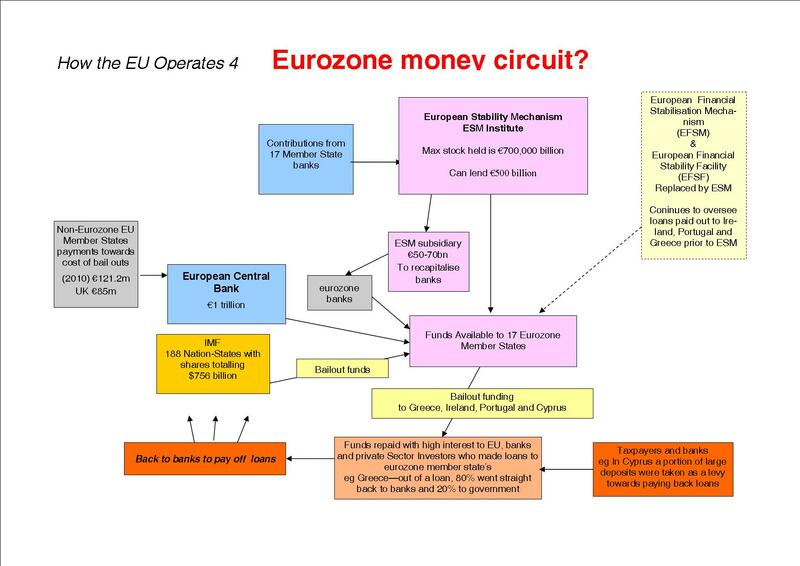 In the late 1980's similar gangs in the form of the Association for the Monetary Union of Europe (AMUE) pressed for and wrote the basis for a single currency resulting in the Maastricht Treaty. The author describes in detail that one objective of the single currency is to act as a vehicle for austerity to cull the welfare state which is clearly evident in Greece and other Eurozone members. A chapter headed 'Bombarded by bankers' shows that despite a public EU ambivalence Mrs Thatcher's one 'overriding positive goal' was to remove all restrictions on trade within the EU. His heroine's policy was adopted by Charlie McCreevy as EU Single Market Commissioner. In 2006 prior to the financial crisis a compatriot of McCreevy coordinated an 'expert group' on hedge fund regulation. This consisted of 16 members including Goldman Sachs, Morgan Stanley, and Deutsche Bank who advocated a hands off approach. In particular the Cayman Islands which hosts three-quarters of the world's hedge funds was given a 100 year exemption from taxes. War is good for business, dealt with in chapter 3, with the development of drones in the illegal wars on Serbia and Iraq manufactured by BAE, grants given to scientific research and development of arms. Part of the Lisbon Treaty was for all intents and purposes written by arms dealer lobbyists. Peter Mandelson former MP, Blairite, EU Commissioner for Trade and now a multi-millionaire Lord has a chapter all to himself. As Commissioner for Trade under pressure from the European Services Forum (ESF) he worked like a modern day Clive of India to open up this market for the transnationals. The ESF is a collective alliance of finance titans including: Goldman Sachs and Deutsche Bank; telecom giants BT and Vodafone; Veolia the waste, water and transport transnational; BusinessEurope and 30 other employer federations. Key ESF recommendations found their way into the EU trade policy document Global Europe. This is nothing less than a manifesto for interfering in the internal affairs of sovereign states. Laws which hampered maximising of profits would have to be rewritten. He worked with Commission President Barroso to: "...to develop a programme that reflected this priority rather than social and environmental policy areas?" 'So much for the 'social partnership'. There is much more in this chapter, 'The malign legacy of Peter Mandelson', which everybody in the labour and trade union movement should be aware of. In the 'Conclusion: taking Europe back', there is a breath of fresh air where the voters alleged apathy is relabelled impotency when faced with all the dominant political parties committed to neo-liberalism. Finally the author makes clear that the elite assumes it can lord it over everybody else. "But the elite is not invincible. With enough determination, it can be defeated."